Come home to Topaz Falls, Colorado where a down-on-her-luck bull rider falls for the cowboy she can’t resist in this heart-warming western romance! As a champion barrel racer, Charity Stone has learned to hold her own in the male-dominated rodeo world. There’s no cowboy she can’t handle…except for one. Officer Dev Jenkins has made it clear he doesn’t look at her like one of the guys. He’s caught her attention but Charity doesn’t do relationships–especially not with a cowboy. When she suddenly finds herself in charge of her thirteen-year-old nephew, who’s had a few brushes with the law, Charity has no choice but to ask for the deputy’s help. Dev hasn’t stopped fantasizing about Charity since she moved to Topaz Falls, but she’s been hell bent on keeping her distance. When she comes to him for help with her nephew, he finally has the chance to make his move. Winning her over won’t be easy, though–especially when her nephew’s mistakes start to threaten his town. How can he do his job and still convince Charity he’s the cowboy for her? 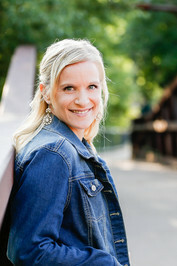 About the author: (from goodreads.com) Contemporary romance author Sara Richardson has been a communications manager, copywriter, magazine editor, and whitewater rafting guide. The day after graduating with a master’s degree in journalism, Sara realized she was too empathetic to be a journalist and start writing her first novel instead. A lifelong fascination with true love quickly led her to the romance genre. 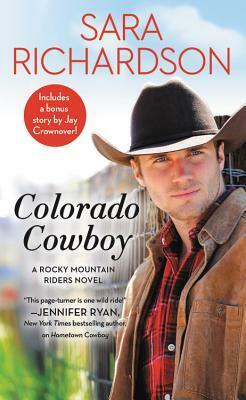 Her Heart of the Rockies series was published by Grand Central Forever in 2015. In 2016, her debut novel, No Better Man, was nominated for a RITA in the best first book category. Sara is passionate about writing stories that inspire people to believe in love and always enjoys connecting with readers.